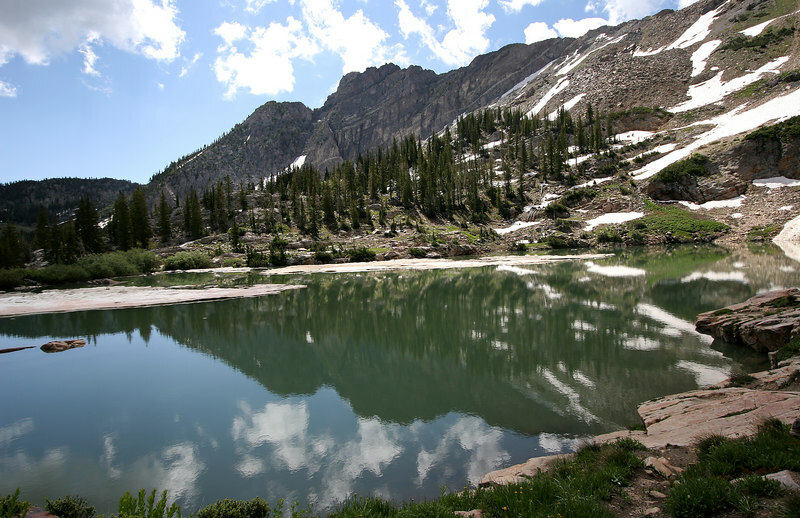 Cecret Lake, above Albion Basin. Devils Castle looms behind. Little Cottonwood Canyon, about 10,400 above sea level.